IKD, was involved in a “once in a lifetime” opportunity at the Isabella Stewart Gardner Museum in Boston, MA. Prompted by ongoing preservation and maintenance work at Gardner’s historic palazzo, the most important pieces from Gardner’s collection were installed in the new wing designed by the Renzo Piano Building Workshop extension which Yugon Kim, founding partner of IKD was also the project manager for during his 6+ years at the workshop. 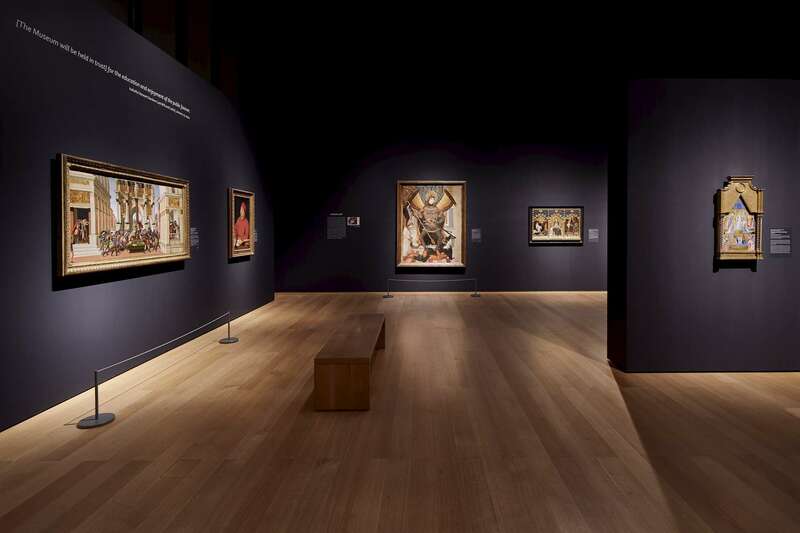 This allowed for the opportunity to view Gardner’s most important work together in a new context for the first time for the Off the Wall Exhibition. In order for these works to be temporarily moved from their current locations to the new wing special permission had to be obtained from the Massachusetts Attorney General for a variance from Gardner’s original will, which stipulated that the works could not be removed from their setting in the palazzo. IKD was responsible for the exhibition, graphic, and lighting design.